Summer, you are such a flickering memory right now. Through torrential rain and thunder storms we see your little sunshine face peeking through the clouds in irregular intervals just to tease us. Why? Why do you do this? 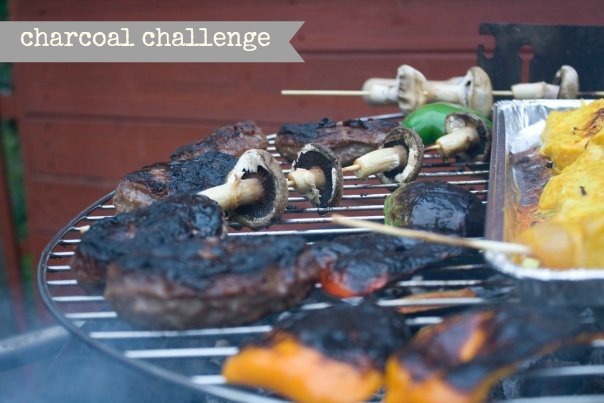 Especially when I have been set a Charcoal Challenge from Money Supermarket and need to create a super fancy BBQ party on a budget and now time has pretty much run out. 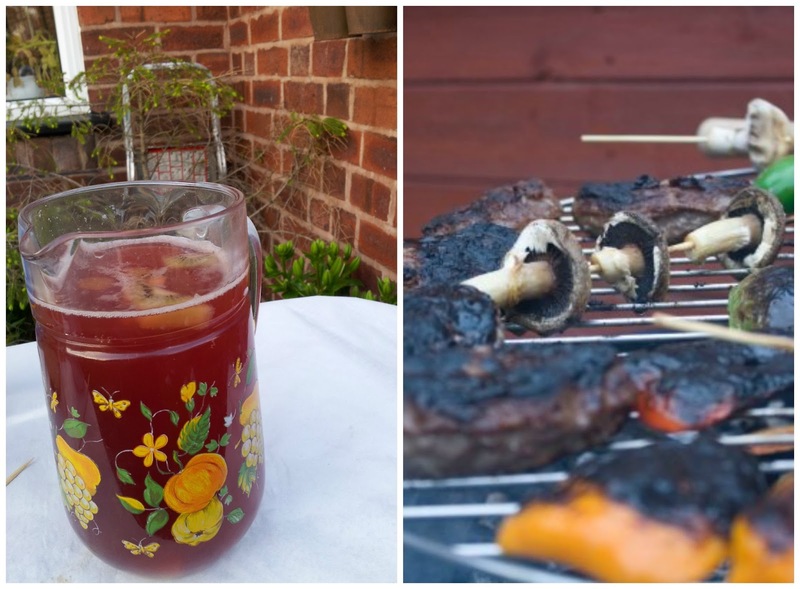 Don’t get me wrong, I did BBQ, I BBQ-ed until my little burger face was full to the brim…. But this happened to be on the day when I went over to Manchester to a friends with my BBQ goods (because living in my flat I don’t have the luxury of my own garden) and forgot to charge my actual camera, so the moments of sunny joy were not captured fully and I only managed to get the snaps below before it died! And ever since we have been cursed with such erratic weather I haven’t been able to reschedule another fancy garden shindig, so alas, I can provide you with some limited visual stimulant and talk you through the culinary delights…. I used to absolutely despise barbecues, which I find hard to believe now, because I really do enjoy the meaty goodness! There was something about eating outside which just didn’t sit right with me… All I imagined was flies and undercooked meat, complete with some kind of food poisoning. Also the fact I hate the taste of burnt thing, ergh. BUT when a BBQ is done properly, oh it’s now turned full circle in to making my life complete. We ended up using two BBQ’s and decided one was for savoury and one was for sweet! The savoury obviously had all the standard offerings on – burgers, sausages, veggie skewers. For me, I just like to let the beef see the bun and keep it simple, non of that veg lark on my plate! No barbecue or party is complete without a cocktail. And it’s simple enough to make your own really, although there are some amazing pre mixed ones you can get from Asda and the like now (I find Asda is the best for more exciting alcoholic drinks!) for this occasion I mixed up my own instead. Using some Blood Orange fizzy drink from Aldi, some affordable Triple Sec and a splash (or 5) or Vodka it turned out to be a tasty treat. Add some fruit in and away you go, just make sure you add plenty of ice too so it makes for a super refreshing beverage! 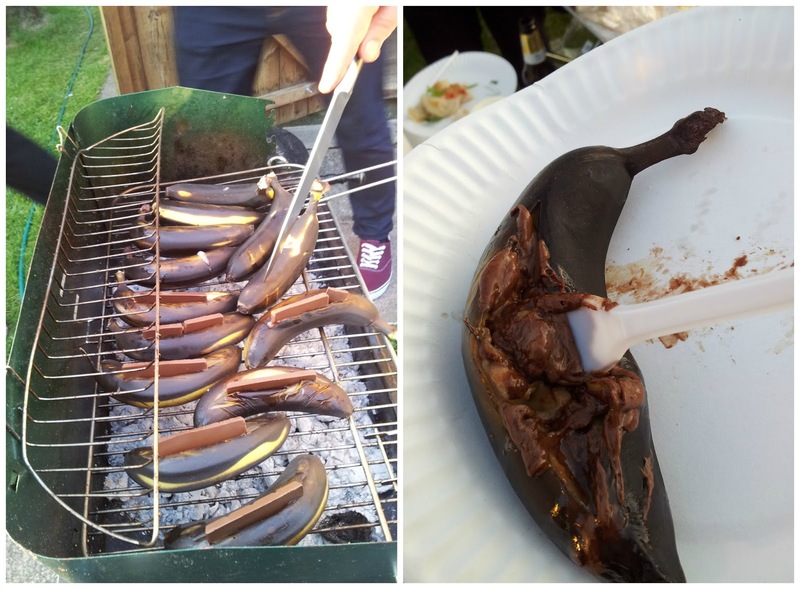 The barry big time treat at my BBQ for the Money Supermarket Charcoal Challenge was these chocolate banana’s, and oh what a treat they were. You simply cut the skin of some banana’s open and pop a finger from that classic British snack, the KitKat, within. Pop it on the grill and let the charcoal work it’s magic. You end up with a gooey, chocolatey mush with crunchy pieces in. It’s magic. Have you had a barbecue this summer? What kind of thing would you have spent your allowance on to throw a mega bonanza culinary treat for your friends? I’m still gutted my camera died as I was so excited and really wanted to win this one, argh!